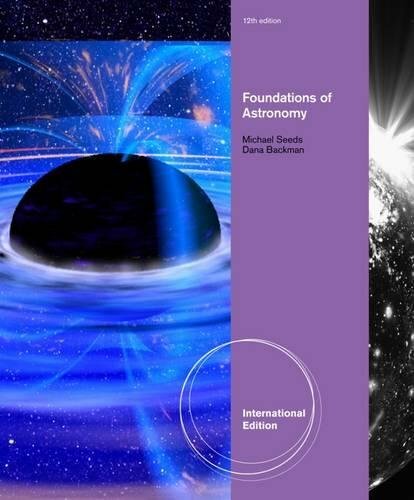 With this newly revised Twelfth Edition of FOUNDATIONS OF ASTRONOMY, the authors' goals are to help you use astronomy to understand science--and use science to understand what we are. Fascinating, engaging, and visually vibrant, this text will help you answer two fundamental questions: What are we? And how do we know? Mike Seeds was a professor of physics and astronomy at Franklin and Marshall College in Lancaster, Pennsylvania, from 1970 until his retirement in 2001. In 1989 he received F&M College's Lindback Award for Distinguished Teaching. Mike's love for the history of astronomy led him to create upper-level courses on archaeoastronomy and on the Copernican Revolution ("Changing Concepts of the Universe"). His research interests focused on variable stars and automation of astronomical telescopes. 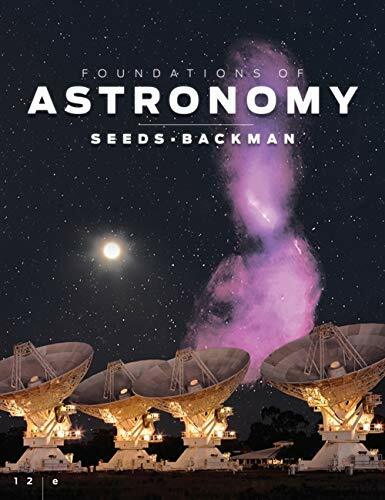 Mike is coauthor with Dana Backman of Horizons: Exploring the Universe, 12th edition (2012); Universe: Solar Systems, Stars, and Galaxies, 7th edition (2012); Stars and Galaxies, 8th edition (2013); The Solar System, 8th edition (2013); and ASTRO, 2nd edition (2013), all published by Cengage. He was senior consultant for creation of the 20-episode telecourse accompanying his book Horizons: Exploring the Universe. Dana Backman taught in the physics and astronomy department at Franklin and Marshall College in Lancaster, Pennsylvania, from 1991 until 2003. He invented and taught a course titled "Life in the Universe" in F&M's interdisciplinary Foundations program. Dana now teaches introductory Solar System astronomy at Santa Clara University and introductory astronomy, astrobiology, and cosmology courses in Stanford University's Continuing Studies Program. His research interests focus on infrared observations of planet formation, models of debris disks around nearby stars, and evolution of the solar system's Kuiper belt. Dana is employed by the SETI Institute in Mountain View, California, as director of education and public outreach for SOFIA (the Stratospheric Observatory for Infrared Astronomy) at NASA's Ames Research Center. Dana is coauthor with Mike Seeds of Horizons: Exploring the Universe, 14th edition (2018); Universe: Solar Systems, Stars, and Galaxies, 7th edition (2012); Stars and Galaxies, 8th edition (2013); The Solar System, 8th edition (2013); and ASTRO, 2nd edition (2013), all published by Cengage.